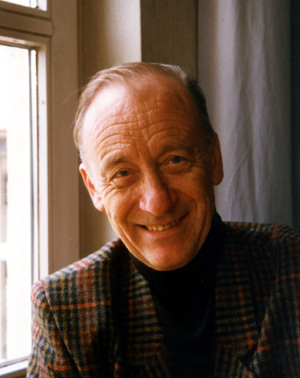 The ceremony in the Black Box of the Munich Gasteig was organised by the Richard Wagner Conservatoire where Borboudakis had once taken lessons with Wilfried Hiller. 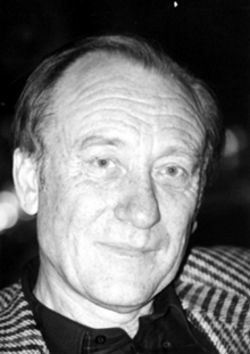 […] At the presentation of the prize, Rodion Shchedrin acknowledged his young fellow-composer as a great composer and great individual. Hiller congratulated him in verse form. 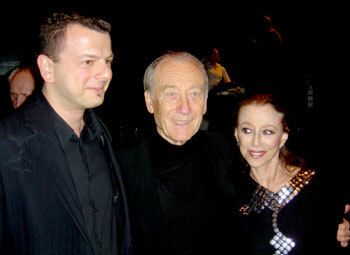 The Greek composer Minas Borboudakis is the first winner of the newly created Rodion Shchedrin Chamber Music Award. 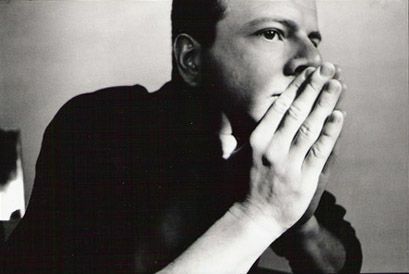 […] Born on Crete in 1974 and living in Munich today, Borboudakis studied with Wilfried Hiller and Peter Michael Hamel among others and took master classes with Luciano Berio and Wolfgang Rihm. The Russian composer Shchedrin and his wife Plisetskaya, for many years prima ballerina at the Moscow Bolshoi Theatre, had set up the Foundation with the aim to annually support talented young artists in the fields of ballet dance and music. The Richard Strauss Conservatoire, the Maya Plisetskaya and Rodion Shchedrin Foundation and SCHOTT Musik International herewith invite you to attend the award ceremony and the concert at the Black Box, Gasteig/Munich on Wednesday, 13 April 2005 at 8 pm. For the first time, the International Maya Plisetskaya and Rodion Shchedrin Foundation is going public: The internationally renowned composer Rodion Shchedrin and his wife Maya Plisetskaya, who had been the prima ballerina of the Moscow Bolshoi Theatre for many years, set up this foundation in order to 'support, on an international level, talented young artists, interpreters, composers, dancers and authors in the fields of ballet dance and music'. This is why they have created the Rodion Shchedrin Chamber Music Award which will be formally presented to the young Greek composer Minas Borboudakis at a concert on 13 April 2005. Rodion Shchedrin, who was born in Moscow in 1932 and is now alternately living in his home town and Munich, is one of the most important Russian composers in succession to Dmitri Shostakovich. Minas Borboudakis, born on Crete in 1974 and living in Munich today, is about to become one of the most important members of the younger generation of Greek composers. 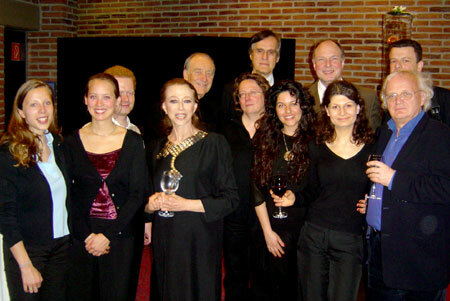 The works performed at the concert on 13 April 2005 will include several works by the attending composer Rodion Shchedrin and the prize-winner Minas Borboudakis as well as by the composers Dmitri Shostakovich and Iannis Xenakis who both, in their own way, had an influence on the award founder as well as on the prize-winner.